After drooling over AtariMax's "SIO2PC Universal USB DUAL SIO Jacks", I finally bought one a couple of month ago. Without noticing that AtariMax doesn't seem to have Mac software available. So now the question is: How do I get this to work on the iMac (running High Sierra public beta 2)? Have you tried it under WINE or in CrossOver? Alternately you could use a Windows machine running inside VirtualBox or something. I've used APE/ProSystem via WINE on my Mac several years ago but getting the COM: port setup was a bit tricky - I had to create a symlink named "COM2" or something that pointing to the /dev/ttyUSB entry that my SIO2USB device identified itself as. I bought my first iMac years ago for one reason: So I would never ever again have to use anything Microsoft made, in my spare time. So no, I have never used anything to run Windows on my iMac and will never ever do so. That's all fine and good, Mathy, but having purchased Windows-only software, you're kind of stuck with what you got. WINE or CrossOver should work, as it did when I used it several years back and of course, WINE = WINE Is Not an Emulator. I didn't intend to buy Windows software, I wanted the hardware. You are out of luck then, I think. I believe Steve's devices are hardware-locked to use APE only and cannot use a generic software like RespeQt, AspeQt or SIO2OSX (which I believe has been non-functional since Sierra last year). I might be wrong about that, but someone else will know for sure. If I'm correct, you need to contact Steve and see if he will accept a return. The USB drivers are windows only proprietary. You could however build a tradition sio2pc serial with a USB to serial board. Download the file at the link and unzip it. Then double click on it and Ape will run. I can confirm this bit works but you will likely have to configure it for your hardware (which I cannot test). Isn't this the Atari 8 bit scene? The one once famous for its tendency to remove, bypass, disable whatever made it impossible to use certain pieces of software on certain pieces of hardware? I have APE and it works fine with the FTDI solutions. I have a "sloopy" SIO2PC and use APE with it all the time. IIRC Steve used an alternative VID/PID for his device. On Linux you can override this. I'm pretty sure something like this is possible under MacOS X.
after which the official ftdi drivers should work. that would be interesting for me too, but I do not have the AtariMax Hardware. Please bring it to Fujiama, I´d like to check ivop´s hint. The AtariMax USB2SIO is not a generic (FTDI) serial<>USB device but a custom design using a 48 MHz MPU running its own software/firmware. It does not expose itself as a generic COM port but has its own custom programming interface (that's why AspeQt/RespeQt can't use it). So it needs the AtariMax drivers to work which are unfortunately only available for Windows. To make the interface work under native MAC, Steve would have to create MAC drivers for his device and make a MAC version of APE. To make it work with AspecQt/RespeQt, those applications would then need to support the AtariMax SIO2USB native programming interface. Unfortunately the programming interface is AFAIK not documented. You're right. I was thinking of atariwarez's device. That one used an alternate vid/pid for its ftd232. I have a related question -- Are there any USB<--> SIO devices that work with a Mac without running some type of converter? And will they work at greater than 3X? Just curious. Yes. Lotharek’s device should work as will any other generic FTDI-based board. You can even build one yourself. I recommend running RespeQT (native OSX builds available). 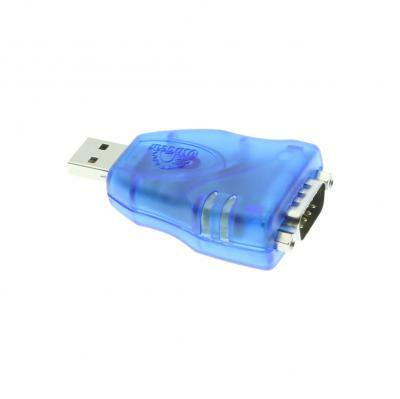 Anyone know if BestBuy's Insignia usb to serial cable Model: NS-PU99501 has a working chip in it for SIo2PC? I need to buy one anyone for doing console diagnostics at work but wanted to make sure I could use it for other purposes. Answer my own question.. Looks like it uses the prolific chip. boo! Edited by luckybuck, Tue Nov 27, 2018 5:16 PM.